This Premium level drawstring bag by Mato & Hash is big enough to pack all of your essentials for what ever you are planning to do. This bag is made with durable polyester and easy accessible drawstring for opening and closing. 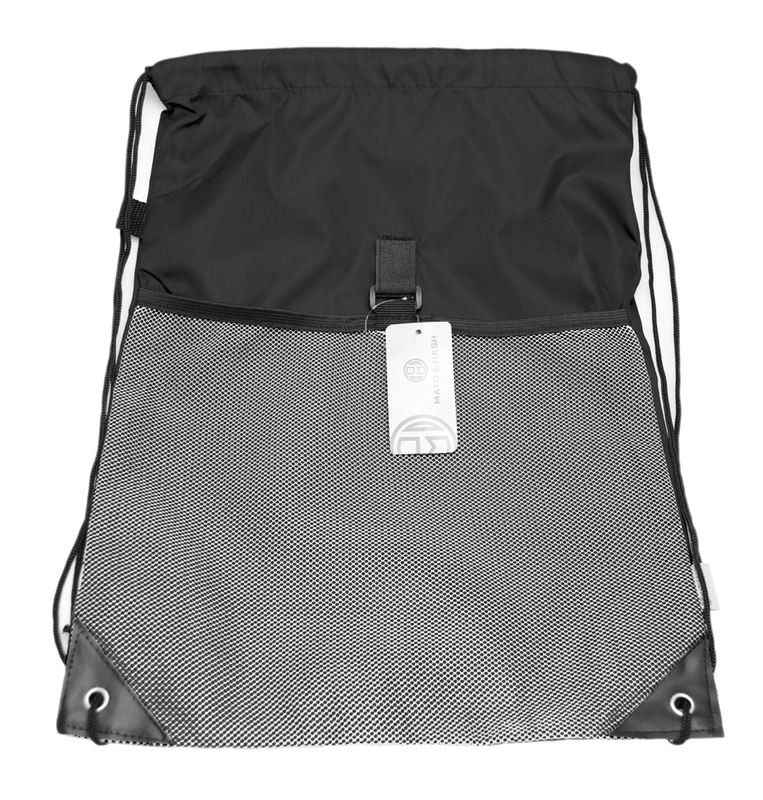 The bonus breathable netting exterior pack with a sturdy velcro enclosure is great for anything extra you need to store seperately. 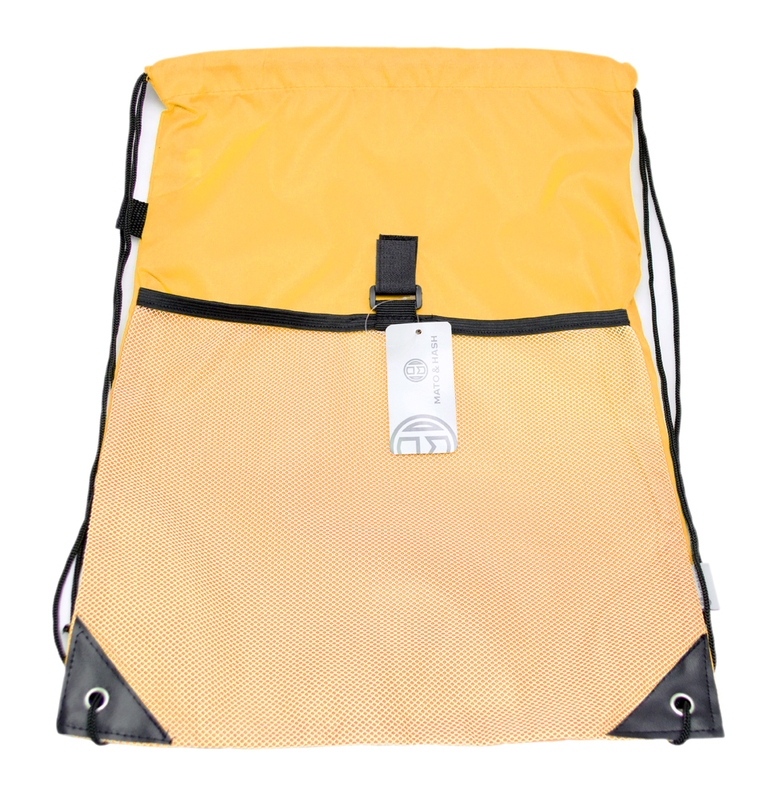 The reinforced corners, and 210 Denier construction also make it great for every day use. 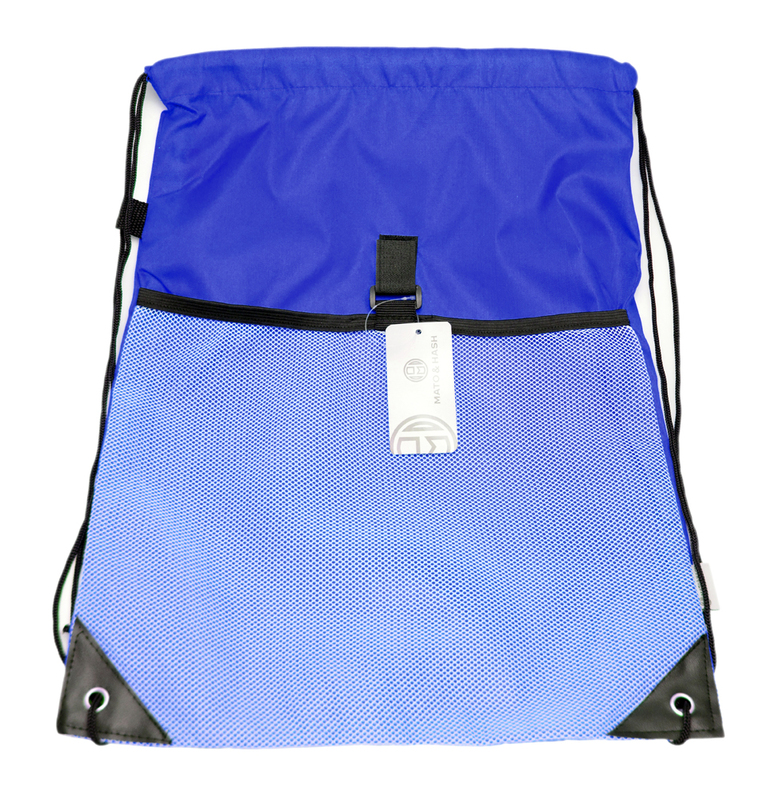 This bag can also be a great promotional hand out as well. With our selection of multiple colors, find the perfect bag for you! !